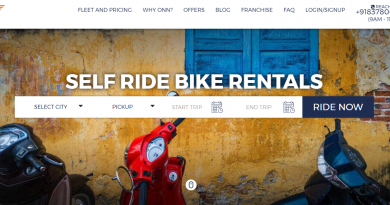 Many at times, we come across these questions like when is the next ride or how to become a member. 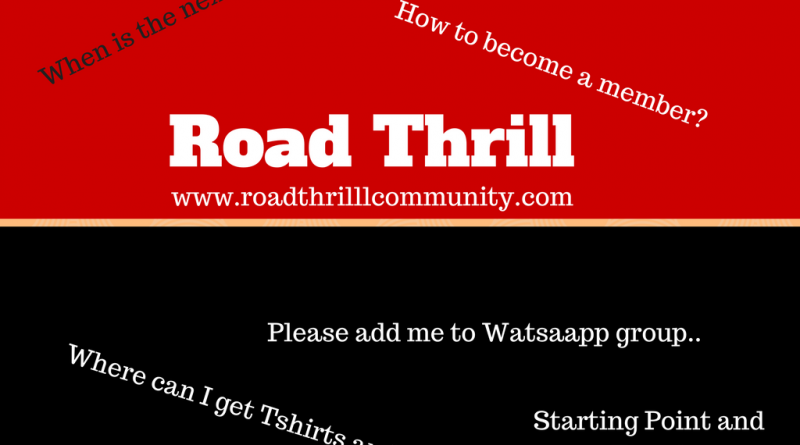 This is to keep you all posted about the communication we practice at Road Thrill and for the ease of everyone. This is common to all chapters and all the events will be shared here. 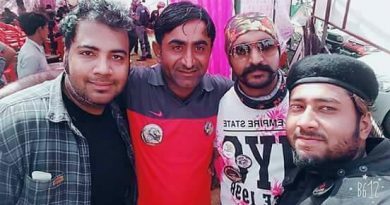 We can have discussions, members asking for suggestions or anything in this group, This is a closed group and posts and discussions are visible only to members within the group. All our events will be created on respective city pages. Members can subscribe to the events section to get automatic updates. 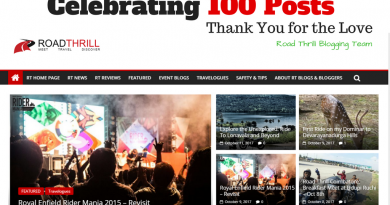 All motorcycling/travel or interesting posts will be shared as well here on the pages. ***Watsapp Groups***: We do have city specific watsapp group and the criteria to add members varies with cities. Below are the links and information to join one. Note: When added to the watsapp group, please introduce yourself with a brief discription. ***Social Media Handles***: We also have our instagram/twitter/youtube accounts. 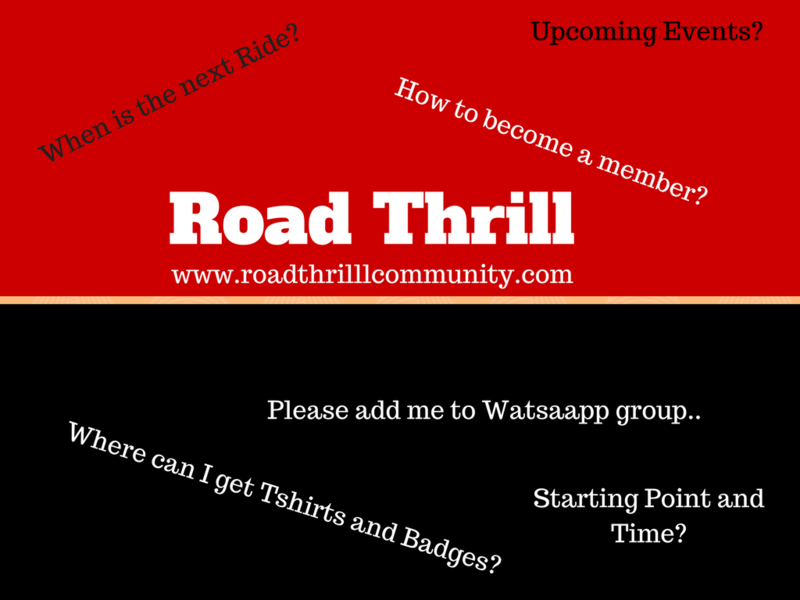 Interested members can do subscribe to folow all the action happening around Road Thrill Community. Feel free to reach out to any of our admin team for any clarifications or more information.